Welcome to the Dusty Clay Diaries! 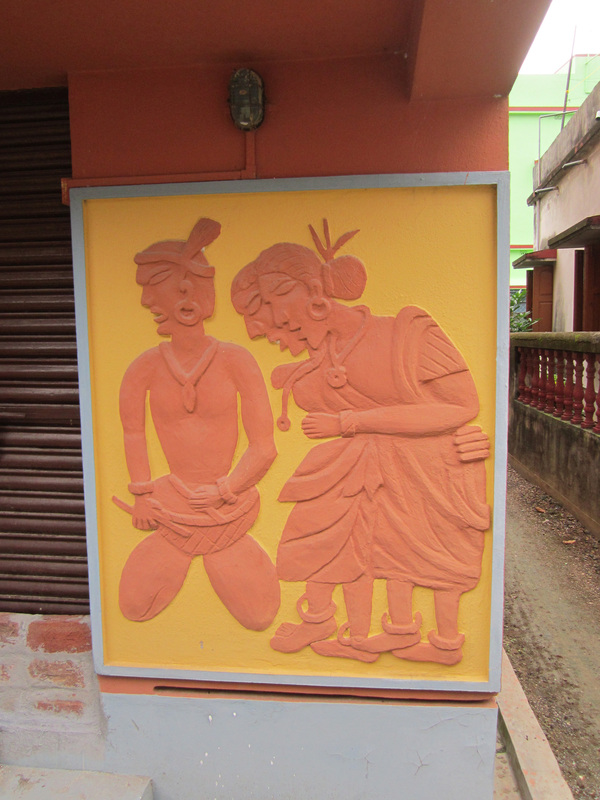 In between my first and second visits to the image-makers of Kumartuli, I spent some time in Shantiniketan. It’s a small, quiet (compared to Kolkata!) town about three hours by train from Kolkata, and it has become something of a second home destination for people wishing to take a break from the faster pace of the city. 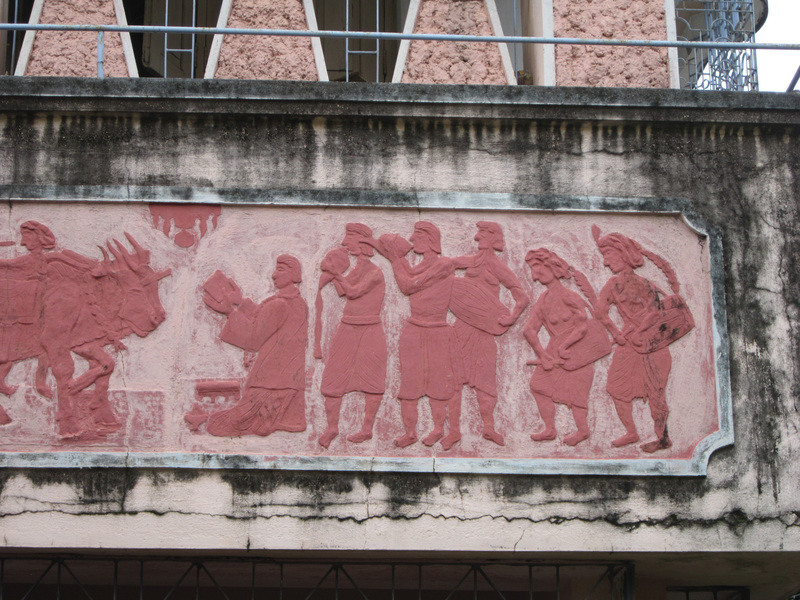 There is a university there that was founded by the much-revered poet Rabindranath Tagore and his family. 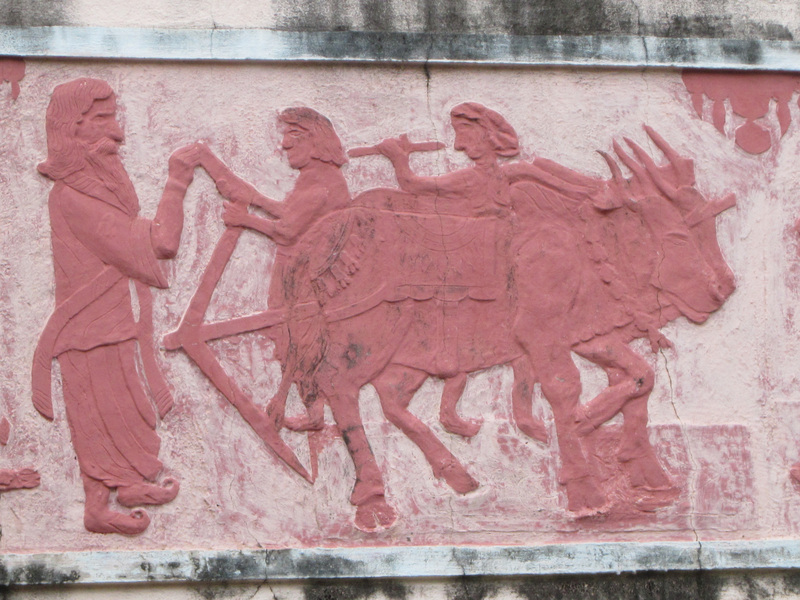 As Santiniketan increased in size, it grew up and around the beautiful villages of the indigenous Santhal people (one of the largest tribal groups throughout India). 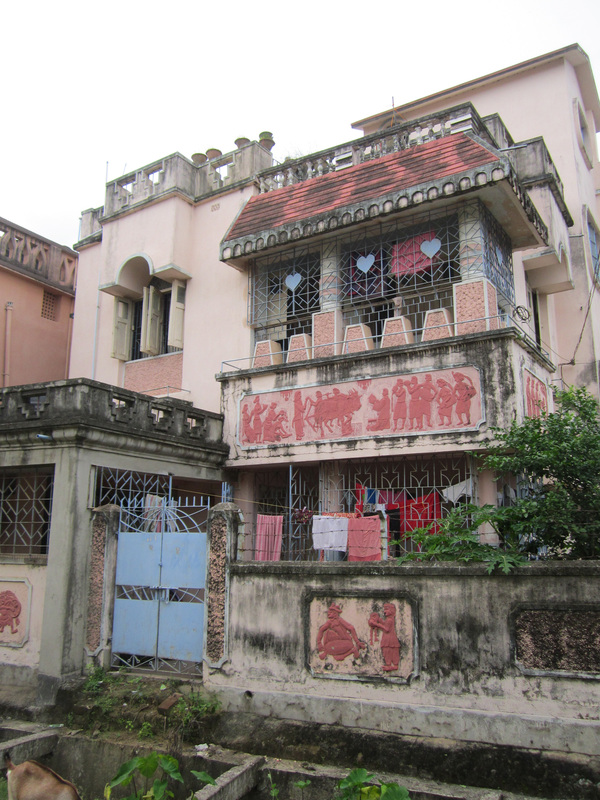 Some of my favorite memories of my time there are of wandering around the small streets and alleys, discovering sculptures and murals covering houses, garden walls, and other structures, made of local terracotta clays, concrete, and tile mosaics. 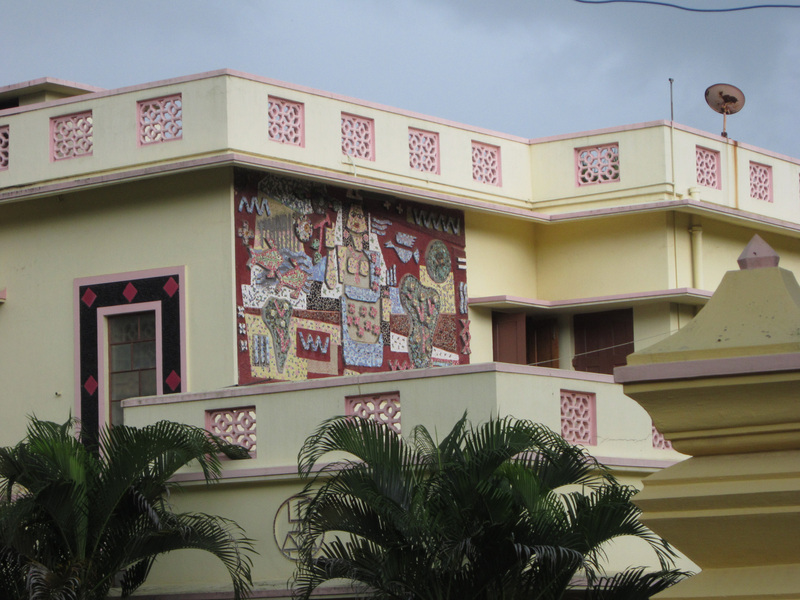 Another favorite place nearby is the Amar Kutir Society for Rural Development, which is a cooperative employing more than 450 people in the production of leather craft, batik textiles, and bamboo crafts. You can check out their website here: http://amarkutir.com/ . 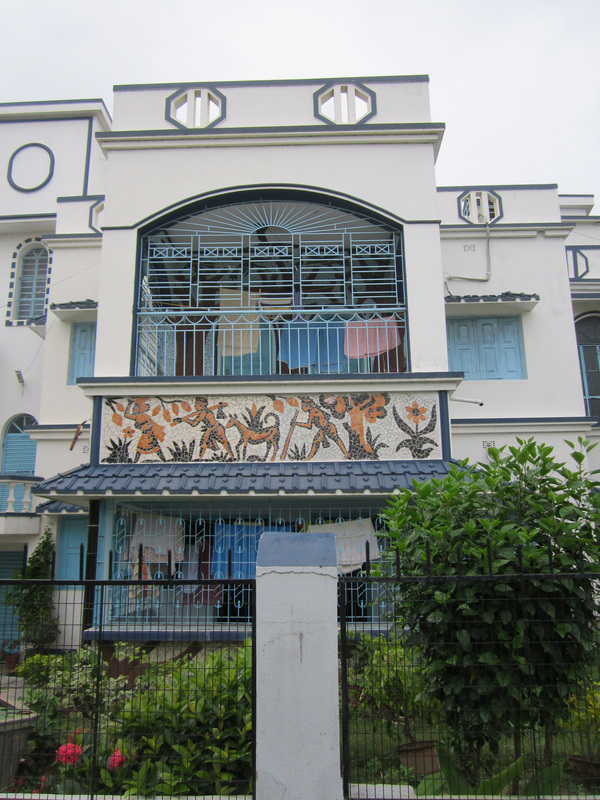 I visited Amar Kutir with the kind and generous Dr. Prasanta Ghosh, who besides being a former Fulbrighter to Washington D.C., is also the head of the Deparment of Social Work at Visva-Bharati University, Sriniketan, and a very active board member for Amar Kutir. 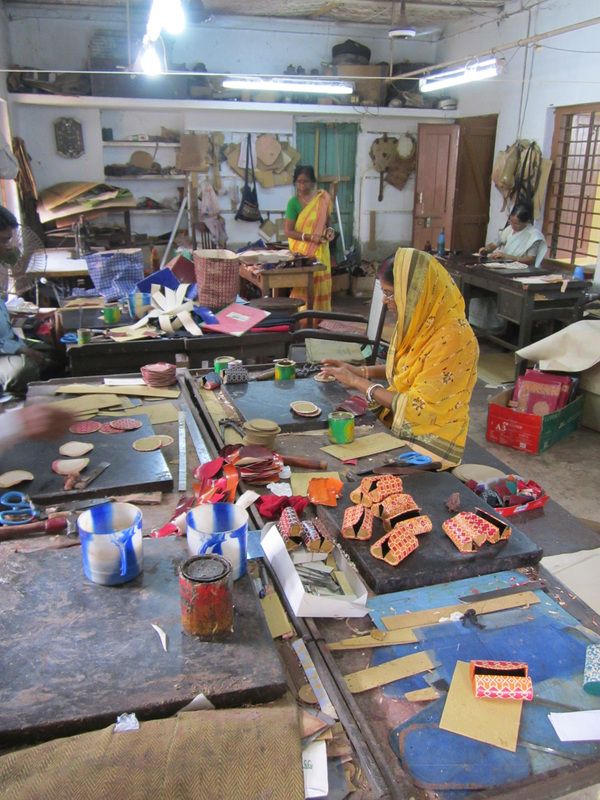 The Amar Kutir objective is the reorganization and rejuvenation of cottage and rural industries in handicrafts in the light of the ideals of self-help outlined by Rabindranath Tagore. 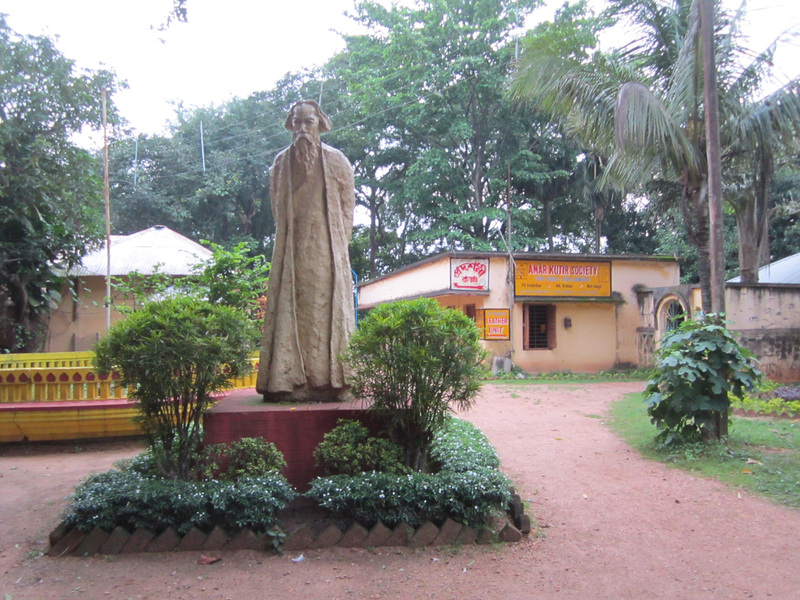 Tagore’s statue at the cooperative is below. 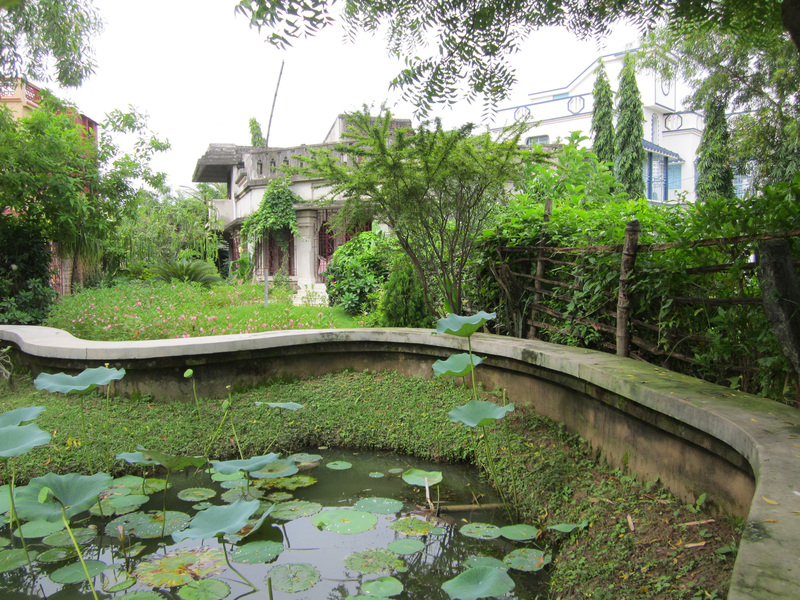 While I was in Shantiniketan, I purchased a book by Tagore called On Art & Aesthetics, a selection of his essays, lectures and letters. I’ve been enjoying his manner of expression, and his ideas. I’ll leave you with one quote from an essay entitled, “What is Art?,” to chew on before I head back to Kolkata for the next visit to Kumartuli. I welcome your opinions and comments! 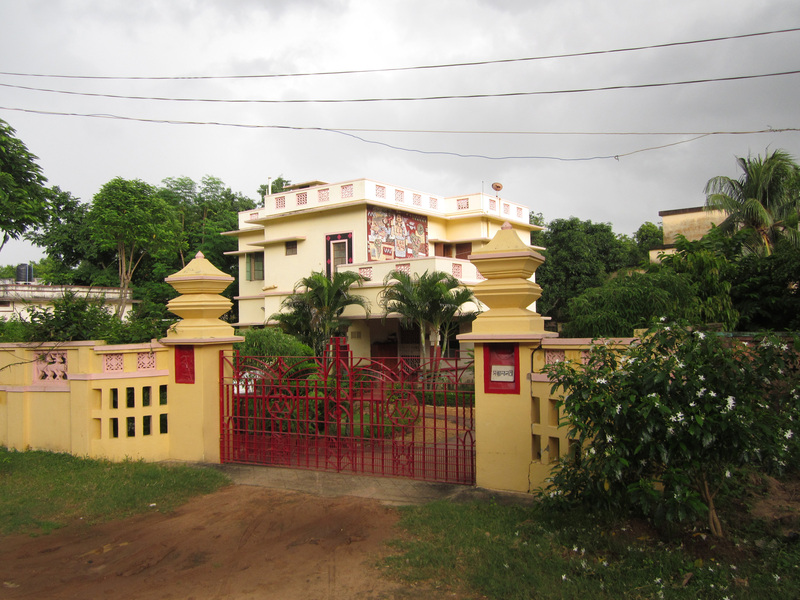 Just a few more pandals….. I created the Dusty Clay Diaries blog to share my Fulbright experiences in India with friends, family, colleagues, and all other interested souls! This blog, however, is not part of an official Department of State website. The views and information presented here are solely my own, and do not represent the Fulbright Program or the U.S. Department of State. Thanks for reading the Dusty Clay Diaries!